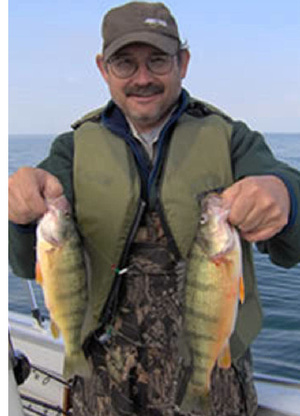 John Arway is the 10th Executive Director of the PA Fish & Boat Commission. He has been with the PFBC for 30 years and was serving as its chief of the Environmental Services Division in the Bureau of Fisheries prior to becoming Executive Director. Hopefully by now you may have seen or perhaps heard about my current Straight Talk article in the January/February edition of the Pennsylvania Angler and Boater magazine called Highway Robbery. I set the stage for this article when I wrote about my idea for creating alternative funding that would allow us to look at ways to reduce the cost of a fishing license http://tinyurl.com/42e98o6. I truly believe that we have come to a point in time when we can no longer depend upon primarily one form of funding, and if we continue to do so we place the very future of our conservation programs at risk. Mark Damian Duda from the firm Responsive Management discussed the topic of conservation funding at our January 2011 Pennsylvania Fish and Boat Commission (PFBC) meeting. Mark said, “It’s a known fact in Pennsylvania and elsewhere that increasing license fees causes people to quit fishing. Some of them eventually come back, but not all of them do. Conversely, theory holds that lowering license fees should create more revenue by convincing more people to fish. Economic models say that would happen. But we have not found a state willing to do that and see if it would really happen.” (From Skunkinthewoodpile.com by The Crow). We need to do something, and the plan I have crafted contains three parts. These include long-term funding, payment for PFBC conservation services and a Marcellus Shale Impact Fee. I would like to focus on the general long-term funding part, which is the subject of my article—water is the common property of all the people, the Commonwealth is the trustee for the people to insure that our water is protected and industry is using and abusing it without compensating for the lost value. This seems common sense to me since industry has been arguing this in reverse for many years. The PLA (Pennsylvania Landowners Association) has argued for years that private property values should be justly compensated if taken by the government. These government takings have been the subject of many lawsuits in various state and federal courts and have changed our laws and regulations that we use to protect our natural resources that live in our water and on our land. I say it is about time for us, the trustee of those resources, to get compensated for the takings by others. Using our public property without just compensation is not fair or right. That’s where I need your help, which brings me to the take home message of this column. There was a time in my agency’s history in the early 1960’s when my predecessors went through a period of fiscal crisis because we had a dramatic drop in fishing license sales and revenue. Our Director at the time had to cut programs and lay off staff. He came up with a program called Operation Bootstrap where he sent our remaining staff into our cities to re-market our programs. This sales campaign worked, and we gradually rebuilt our license base and grew programs and revenues until we peaked in the 1990’s with 1.2M license buyers. Today we sell about 850,000 licenses and continue on a slow rate of decline, which is the common trend for most states in the country. We have lost over 25% of our customers in 20 years. We can sit back and watch this trend continue or try something new to try to reverse the trend and get people interested in fishing and boating again. That’s where I need your help. If you think about it, we have over 850,000 licensed anglers, over 380,000 registered boat owners and untold numbers of unlicensed anglers (youth under 16 years of age), non-powered boat owners and conservationists that care about conserving our water, land and natural resources. Just think if each one of us would speak to a group of 10 people over the next couple of months. Our message could reach 12 million Commonwealth citizens. According to the 2009 census, that would equal the current population of our Commonwealth! I’d like to call this initiative Operation Bootstrap 2 and I need your help. I would like to ask you to use my articles, personalize them with your opinions and present them at any meetings that you attend. Many of us volunteer our time for many causes with civic groups like the Rotary Club, American Legion, Garden Club, Veterans of Foreign Wars, Lions Club and many more along with traditional sporting and conservation groups like Trout Unlimited, the Pennsylvania Federation of Sportsmen’s Clubs, Unified Sportsmen, BASS, Watershed Associations, Audubon, Sierra Club, National Wildlife Federation and many others. A common denominator for all of us in our society is recognizing the need for clean water. Even if one doesn’t fish, we all need water to live. I am sure if your friends knew that our water is being degraded and taken, they will help us in the cause to protect and manage it. This is not about today since the PFBC can survive at our current rate of conservative spending and earning for 3 or 4 more years. This is about the future much like Operation Boot Strap 1. Our predecessors made it happen, and I am confident that we can too. If you have thoughts or questions about helping out, I can always be reached at the Fishing Hole on our agency website www.fishandboat.com. Stop by for a visit sometime. Very good article Team Surra. Mr. Arway seems like a very interesting man. I look forward to read more article like this.